A TIMES BOOK OF THE YEAR. 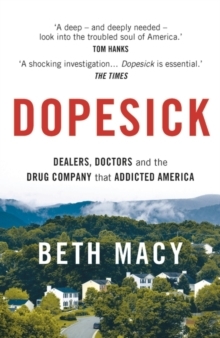 'A shocking investigation ... [Dopesick] is essential' The Times. 'Shifting effortlessly between the socio-political and the personal, Macy weaves a complex tale that unfolds with all the pace of a thriller' Observer. 'Dopesick is a deep - and deeply needed - look into the troubled soul of America' Tom Hanks. 'Dopesick goes to the heart of one of the most urgent problems of our time' The Tablet. 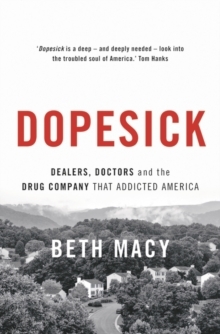 Beth Macy reveals the disturbing truth behind America's opioid crisis and explains how a nation has become enslaved to prescription drugs. This powerful and moving story explains how a large corporation, Purdue, encouraged small town doctors to prescribe OxyContin to a country already awash in painkillers. The drug's dangerously addictive nature was hidden, whilst many used it as an escape, to numb the pain of of joblessness and the need to pay the bills. 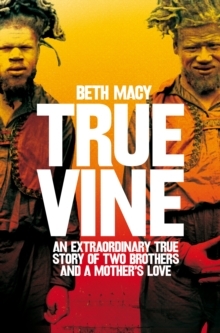 Macy tries to answer a grieving mother's question - why her only son died - and comes away with a harrowing tale of greed and need.